Don’t just translate your healthcare communications, localize them for the target audience! In customizing your content for the intended reader, you have to consider their literacy level, their age, their gender, their culture and their language when you decide to do Healthcare translations for the target audience. This post will focus on localizing that information for the reader from another country who speaks another language and has different cultural influences. Healthcare Translations and consideration of the target audience are one our main areas of expertise. 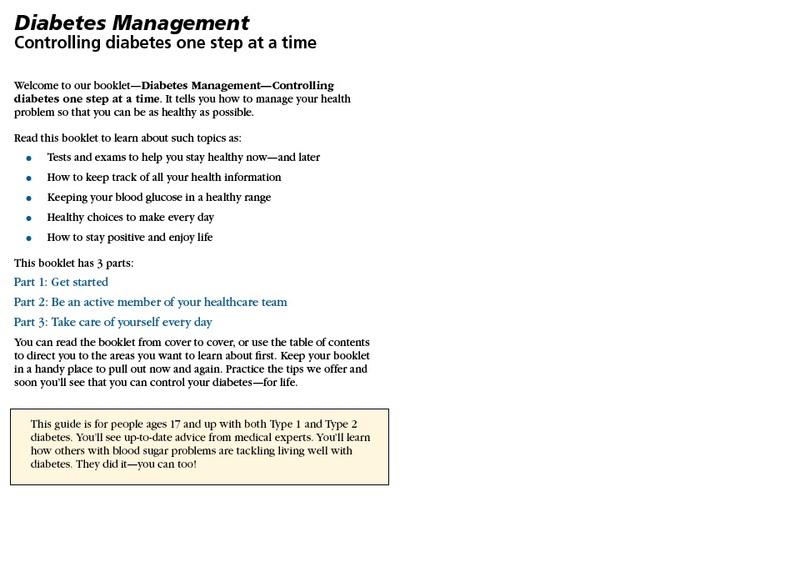 Let’s look at diabetes management. Maintaining your weight is an important way to manage your diabetes but most health information you find has menu planning ideas for the Western diet. Here’s a great place to start localizing for your target audience. 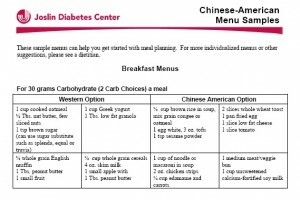 The Joslin Diabetes Center in Boston focuses their diabetes education initiative on the Asian population. Their materials are developed in Chinese and Japanese. However, the content is localized for that population. 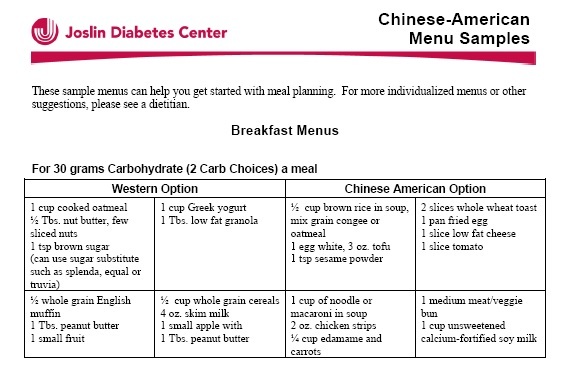 Click on the meal plan below – notice the Western Option and the Chinese American Option. You can also read about the Multicultural meal plate that we wrote about. You can also localize your content to address one’s “locus of control” over their health situation. Locus of control refers to the extent to which individuals believe they can control events affecting them. If you are writing for a Middle Eastern culture, you should keep in mind that although elements of free will exist in Islam, Middle Eastern society places greater emphasis on fatalism, the belief that events are controlled and predetermined by Allah. In order to help empower people with the will to treat and control diabetes, you may need to quote verses from the Koran that emphasize free will and responsibility*. The takeaway here is that you don’t just translate your materials into another language. You localize the content to really speak to the intended reader and then you translate it into their native language. You can read more about our specific work on healthcare translation with Novo Nordisk on diabetes or our work with Gilead on healthcare translation and patient education with hepatitis B.